A few months ago, I decided to do a wardrobe overhaul. If you’ve ever participated in a good ole fashioned spring clean, you know how invigorating it can be, especially if you’re thorough. You hold onto the value that already exists while making way for new value providers. First, I went through all of my clothes and donated everything I knew just sat there, never getting worn. I bought wooden hangers to help make everything more uniform. I arranged each of those sections by color, lightest colors to darkest. Reassess what is valuable to me. Get a better understanding of what I had to work with. Create a better plan of what I needed to add going forward. When it was all said and done, I had so much energy and motivation about how I would move forward. That motivation, surprisingly, carried over into other areas of my life: my fitness routine, diet and leisure schedules all saw some sort of update. If doing that to my closet had some many positive repercussions, imagine what it would feel like to get your business more organized? Your business can fall victim to all the same issues presented above: excess preventing you from accurately assessing where you are, what is holding you back and what you need going forward. Here are some helpful tips to clean up important processes in your business. Social media is perhaps the fastest evolving aspect of your business and therefore requires the most upkeep. Trends turnover fast, so it’s important to make sure everything from your content, to even your bio is still relevant. Update CopyDo you bios, headlines, and copy reflect where you are in your business? Are they written in a way that still resonates with your ideal client? Clear out old postsWhen Taylor Swift was preparing for the launch of her 2017 album “Reputation” something interesting happened with her social media accounts. All of her content disappeared suddenly! It was out with the old and in with the new, even if those posts had millions of cumulative likes. While you might not need to go this far, a little upkeep on posts that don’t exactly align with your mission, aesthetic or current offers never hurt! Maybe you do, and that’s totally your right. Even if the Kardashian’s get to stay, I’m positive you can come up with dozens of other pages that don’t need to be taking up precious space on your feed. There’s nothing more life-giving than an inbox of 20,000 emails, just sitting there for you to go back and visit whenever you need them. Again, it goes back to that idea that when you take the time to clean out, you get energy on the backend. Maybe you commit to going through 100 emails a day for a month until you’ve hit the back of your inbox and cleaned it out? You might find yourself on a roll and get it done sooner. While you’re cleaning out, make sure you do yourself the ultimate favor and unsubscribe from all those sources that send you daily emails you never open. Personally, every morning I’ll check if any of the emails I received were from a source I need to unsubscribe to. If you don’t want to spend that time, there are even apps that do it for you! No excuses! Take it from someone who got his laptop stolen the day before he got a 2tb hard drive in the mail to back up his laptop in the event it was ever stolen: backup your business now. You never know what is going to happen. I had never been the victim of theft and it happened right when I had taken steps to protect myself, it was too late. Get a backup drive. A spring clean could not be a better time to give yourself that extra bit of security. It’s an affordable and simple way to have peace of mind about all your hard work. Perhaps the greatest singular investment you can make to simultaneously organize and clean up your business is the right Client Management or Workflow Automation system. The right CRM, CMS, or workflow automation tool could be an absolute game-changer for your business. We make sense of what the heck that means and go into detail, here. Automation has a scary connotation, but it doesn’t have to be that way. If your business is facing any sort of clutter, whether it be literally with how you manage and organize physical documents, or with the number of systems you utilize to get the job done, it might be time to condense. Dubsado handles some of the most core components of a good spring (or general) business clean, but there are certainly other programs that help. Stop sending emails through giant Gmail chains with a service like MailChimp, or Active Campaign. Link apps that wouldn’t work together otherwise with Zapier. Use Trello or Asana and get rid of those whiteboards. Hope on Canva and create some fresh, modern graphics for your business. Want to learn more about how a CRM or Workflow automation system can change your business? Find out here. We have so many routines and demands asking our time of us; I know something is worth my time if I find a way to implement it within a larger time management goal. I am not going to force something where it can’t go if that is going to hurt my overall time management. What does your time management look like? Are you utilizing your time wisely or struggling to be productive more often than not? Spring is a great time to implement some new schedules or cut back on existing commitments. The team over at Quickbooks put together a fantastic list of effective time management considerations. Nothing we’ve mentioned so far replaces the importance of rolling up your sleeves and doing the real cleaning. Whether it’s your workspace or the tools themselves, cleaning them is a simple way to kick off or round out your spring clean. ComputerSo you gave your screen and keyboard a good wipe down, all done, right? Don’t stop there! Similar to your social media and email, your computer is probably filled with files and downloads you never think about. This build-up could cause your device to work slower, as well as put you in a bind once you start running low on storage. OfficeWe arrive at the most obvious was we can spring clean ourselves into some renewed energy in our business: cleaning the physical space we work in. We might not have the power to create our perfect workspace, but we do have the power to keep that space clean, organized and functional. Now if your response to that is “well, I just work better in the clutter” remember that you’re reading something from a company that’s entire existence revolves around making your business more organized, streamlined, easy and functional. So...we kinda like things to be clean around here. We think you will too! This is a bonus suggestion, but sometimes, things are interconnected in ways we least expect. I’ve already gone into great detail about my particular closet cleanse, but I can’t emphasize enough how it helped me get into a better frame of mind for other areas I needed to clean! Last but not least, is the idea that a clean, isn’t always exclusive to getting rid of things or scaling down. Sometimes, how we add to our business breathes the same type of new life organizing it does. A lot of the time, cleaning out paves the way for adding the new to feel even more energizing, but it doesn’t have to. Maybe you’ve got a nice, tidy space and system that works for you and you keep everything listed above in pristine condition. You are my hero. As difficult as it may be to here, all you might be needing is some change. 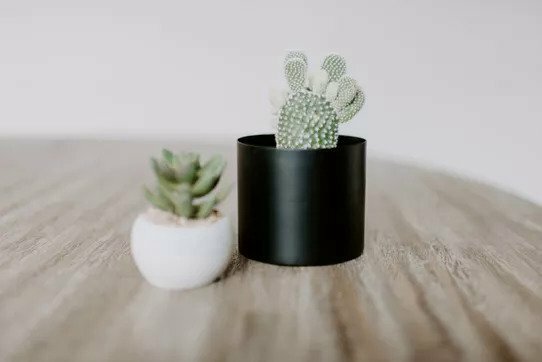 Sometimes we are resistant to change because we are so attached to a system that keeps everything “perfect.” Whether it’s wall decor, the position of your workspace, or a new desk buddy (if you know anything about us, you know we couldn’t recommend a succulent buddy highly enough), these are ways to remind yourself that your business is growing. Change here is good. Tools like Dubsado that take old, messy business processes and clean them up online are true game changers. Having your entire business process in one, easy to access, streamlined and organized place saves you money, time and stress. As amazing as these systems can be, they aren't exempt from needing a good cleaning.